A, B, C... The alphabet is one of first things we learn, so feeling a connection to the initials of our name is simply human nature. 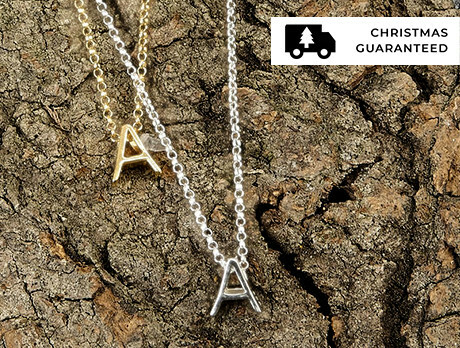 Cue our edit of initial necklaces cast in 24ct gold-vermeil and sterling silver. Layer up the letters of loved ones in both hues for an on-trend sparkling tribute; your jewellery collection knows no bounds, all the way up to X, Y, Z.